* Digital hardware design including DSP ASICs. * High Quality analogue audio and convertor design. * Software and specialised audio algorithm design. * Mechanical and graphic design. The first product was the Sony OXF-R3, or "Oxford" , as it's often called. A high end digital mixer, it's greatly favoured by those who care most about their sound, and it's that technology that the Oxford Plug-Ins are based on. Our philosophy has always been to bring the highest quality audio to the pro market at an affordable price. Although software maintenance of the OXF-R3 continued for some years, the core activities of the group diversified. Oxford became the world leader for development of 1-bit audio processing (DSD, the basis for SACD), and additionally took a variety of R&D contracts from various groups in Sony such as audio compression and delivery for the Disk Technology Company in Japan, and audio processing and editing for a Sony group in California that was developing a video workstation product. One notable success has been a spin off technology from DSD into an AES-recognised standard multi-channel audio interconnection system called SuperMac. In parallel with these projects we diversified further by re-purposing much of the original OXF-R3 development towards plugins, initially for Pro Tools. In April 2007 this plugins business was spun out of Sony and became Sonnox Ltd. The Sony Oxford Team consisted of a bunch of dedicated enthusiasts who cared passionately about what they do, and this theme is carried forwards with Sonnox. Most of the team are musicians and all have worked in pro audio in various roles. In line with our philosophy, our aim is to position our products with an emphasis on quality first, combined with operational ease. We always take the time to make it right! 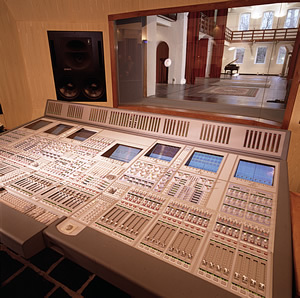 Our pedigree, for want of a better term, is the high end recording studio where quality is crucial. Our technology has won over many a ‘golden ear' who previously maintained you could ‘hear digital'. (That may have been the case in the past!) We have a number of Grammy Award winners that bought the OXF-R3 console, including George Massenburg, Peter Gabriel and Mick Guzauski. We are currently selling the plugins to these same luminaries, and many more besides! Евгений Ерошкин Дата добавления: 25 Сентябрь 2008 г.
Вы можете получить более детальную информацию о диске "SONY Oxford Professional Plug-Ins" на сайте производителя. На нашем сайте вы можете скачать или купить почтой SONY Oxford Professional Plug-Ins. Этот товар поступил в продажу в наш магазин 31 Октябрь 2007 г.